Social Work and Kinesiology Dual Degree M.S./M.S.W. UNH’s dual degree in social work and kinesiology: outdoor education is one of the nation’s leading programs training mental health professionals to work in the expanding field of adventure therapy. This program unites the clinical training of UNH’s top-ranked social work degree and its pioneering outdoor education program. Graduates of the dual degree pursue successful, satisfying careers that bring counseling skills into challenging wilderness experiences for a therapeutic intervention that’s highly effective in promoting wellness and mental health, particularly among adolescents. Dual degree applicants in Social Work and Kinesiology: Outdoor Education must meet the requirements for both Social Work and Kinesiology: Outdoor Education. Applicants should check each program for their requirements which may be different. GREs are required. Dual degree applications are due by February 1st. 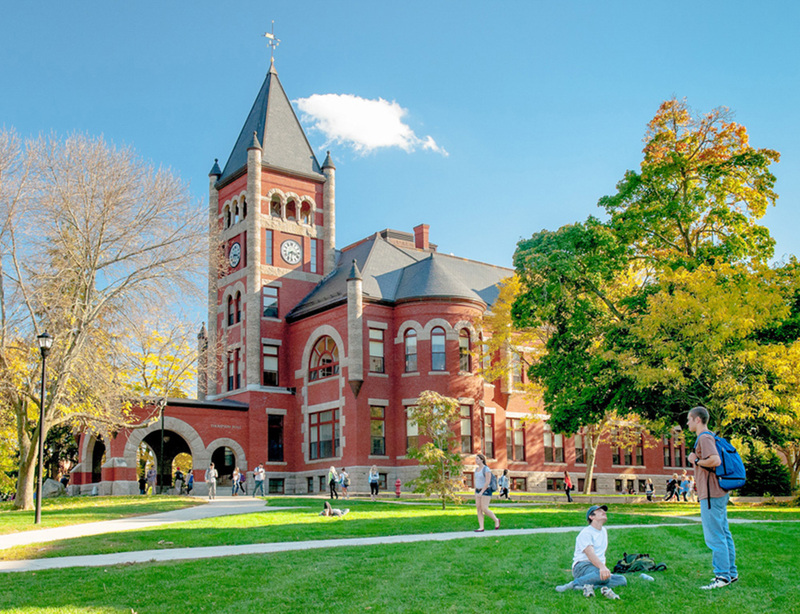 For additional information regarding the Social Work/KIN dual degree admission requirements, contact Anita Tucker at Anita.Tucker@unh.edu. At least one letter must attest to observed skills in a volunteer or employment setting that would be indicative of success in the social service field. In addition, if applying to the Exercise Science option, at least two of the letters must come from professors that you took classes from at your undergraduate institution. Please note that when applying to the Social Work and Kinesiology Dual Degree program you will need to provide two personal statements - one that addresses the Kinesiology program and one that focuses on the Social Work program. Both statements must be included with your submitted application. Applicants must provide a well-constructed double-spaced essay of 4-5 pages. Please respond to the questions below: 1) How did you become interested in social work? 2) What personal, academic, organizational, volunteer and/or paid work experiences have influenced your choice of social work as a profession? 3) Briefly discuss a current social issue of great concern or interest to you. 4) Describe some intellectual and personal attributes that you believe make you particularly suited for the profession of social work. Prepare a brief but careful personal statement regarding: 1) reasons you wish to do graduate work in this field, including your immediate and long-range objectives, and 2) your specific research or professional interest and experiences in this field. Outdoor Education: Prepare a concise and focused personal statement describing: 1) Reasons you wish to pursue graduate study in outdoor education, including your career objectives, and 2) your specific research or professional interests. Be sure to specify how your interests match with the scholarly or professional focus of a specific faculty member in our program. Please visit the Outdoor Education faculty and research web pages and review faculty publications. It is also appropriate for you to contact the faculty member/s you are interested in studying with via email or phone for more information about their current research. Exercise Science: Applicants to the Exercise Science M.S. program should provide a 500 word maximum statement pertaining to how their research interests align with current faculty interests. This research interests statement should be included as part of your personal statement in your application and is to aid in aligning prospective students with faculty mentors. Please review the Exercise Science faculty and research web pages and review faculty publications. It is also appropriate for you to contact the faculty member/s you are interested in studying with via email or phone for more information about their current research. Significant volunteer and/or work experience in the field is strongly recommended. Graduation from an accredited undergraduate institution with a broad liberal arts background is required. Dual degree applicants in Social Work and Kinesiology: Outdoor Education must meet the requirements for both Social Work and Kinesiology: Outdoor Education. Please note, dual degree applicants may be accepted into the M.S.W. program only, M. S. in Kinesiology only, or both. Dual degree applications are due by February 1st. Evaluation of applications is based on the student's undergraduate preparation, academic record, Graduate Record Examination general test scores, and letters of recommendation. Each applicant's undergraduate record will be examined for course deficiencies and such courses will have to be made up without graduate credit. 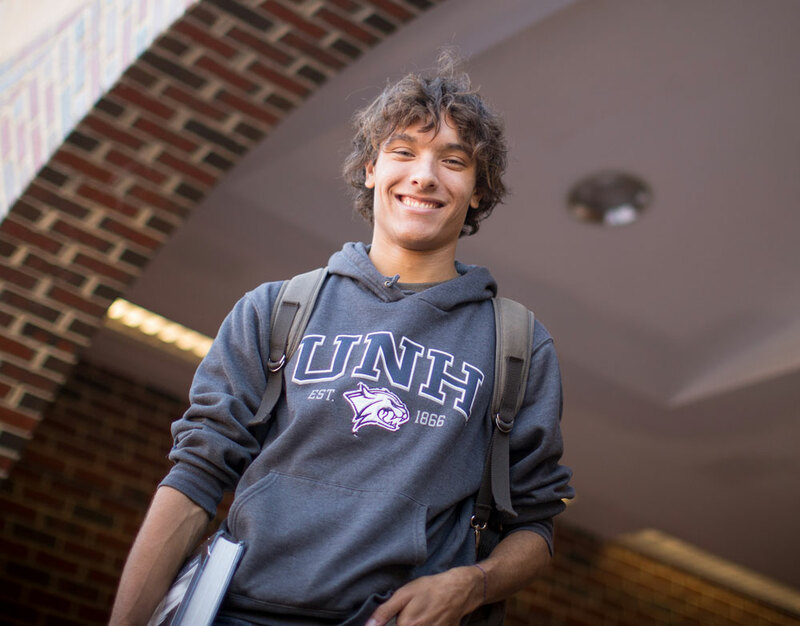 In addition to meeting the general admission requirements of the UNH Graduate School, successful candidates must show adequate preparation in basic operational knowledge of outdoor education programs and a strong background in outdoor adventure skills. A minimum of 2 years experience in the field of outdoor education is necessary, with evidence of considerable leadership time with groups in outdoor education settings. Familiarity with the philosophic and historical underpinnings of the field is also necessary. Students found to be lacking in these expected areas are sometimes conditionally admitted while they gain proficiency in a needed area. Applications are to be made to the Graduate School by applying online. Interested applicants need to apply separately to each program and must meet the requirements for each program to be accepted as a Dual Degree Student. Applicants should check each program for their requirements which may be different. When selecting a major choice, under the "Planned Major" section of the online application, select Social Work. Then under the options question indicate this is for the Dual Degree Program in Social Work and Kinesiology: Outdoor Education. At the top of the personal essay write "Dual Degree Program in Social Work and Kinesiology: Outdoor Education.” Only one personal essay is required, see #3 for details. In a well-constructed essay of 4-5 pages all applicants should respond to the following three questions. Your essay must be typewritten and double-spaced. How did you become interested in social work? What personal, academic, organizational, volunteer and/or paid work experiences have influenced your choice of social work as a profession? Briefly discuss a current social issue of great concern or interest to you. Describe some intellectual and personal attributes that you believe make you particularly suited for the profession of social work. In addition, as a Dual Degree student you should integrate into your personal essay why you are interested in both fields and your long term professional goals based on receiving this dual degree. This should supplement your responses to the three questions all applicants are required to address in their personal essays for social work. On the letter of reference form, under the "Degree sought in ..." field indicate this letter is for an application to the Dual Degree Program in Social Work and Kinesiology: Outdoor Education.